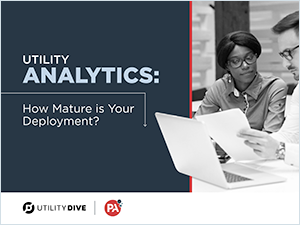 Utility analytics: how mature is your deployment? Data analytics is essential for success, but most utilities aren’t reaping the full benefits. A more sophisticated analytics strategy impacts all facets of the business and enables utilities to leverage powerful insights towards solving business problems. This playbook dives into ways that utilities can assess the maturity level of their analytics programs and steps they can take towards enhancement. How to create a roadmap towards analytic maturity and future goals.